Your pet may have an impressive-looking set of teeth, but how you can know that those teeth are as healthy as they look -- and if they are healthy, how can you keep them in good condition? Our professional pet dental care services at Clinton Hill Animal Clinic can deliver the answers you are looking for. Our veterinarians at our Brooklyn veterinary center can provide the regular dental exams and cleanings, occasional treatment, and ongoing oral maintenance advice you need to help keep your pet’s mouth healthy and clean. Oral Cancer - This disease can metastasize and possibly prove fatal without swift detection and care. Tooth Damage - Damage to the teeth is not only painful, but it can also lead to bacterial infection and dangerous abscesses in the gums or jaw. Periodontal Disease - The most common of all pet dental conditions, this inflammatory gum issue can cause your pet's teeth to loosen and fall out. Clinton Hill Animal Clinic can help your pet with all aspects of their dental health, starting with preventative care. We recommend annual dental exams for most animals, with more frequent exams as needed for certain at-risk pets. These annual checkups let us take X-rays and examine the teeth, gums, and oral cavity for signs of disease or damage. We can then recommend and administer treatments ranging from medications to oral surgery for any problem that needs to be nipped in the bud. Dental cleanings are usually performed at the same time as exams. We give these cleanings under anesthesia so your pet will be perfectly comfortable and still throughout the procedure. By cleaning away tartar both above and below the gum line, we can help your pet avoid periodontal disease. 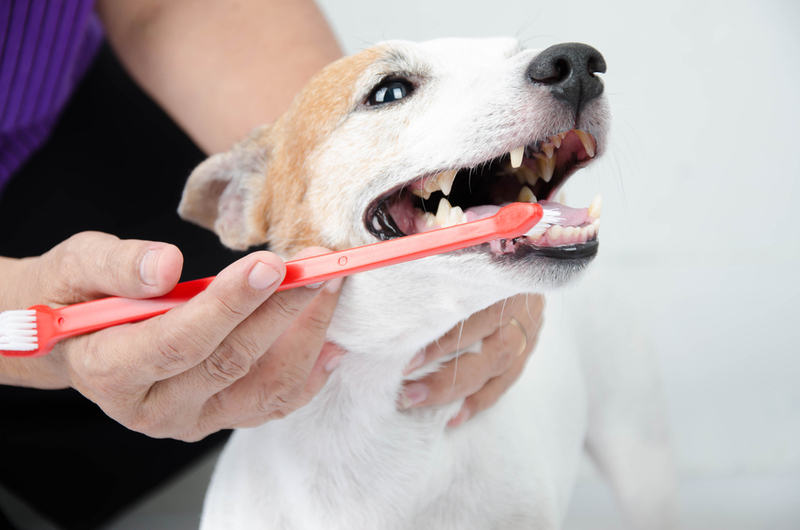 Between dental visits, we can advise you on smart oral maintenance practices, such as brushing your pet's teeth correctly, checking their mouth for problems, and feeding them tartar-control foods. Our veterinarians at our clinic will be happy to help your beloved pet maintain healthy teeth and gums for many years to come. Call our Brooklyn veterinary center at 718-623-3999 to schedule a pet dental exam!